Coronary stents are tiny flexible tube devices used for expanding the blood vessels of the patients in order to prevent obstacle. 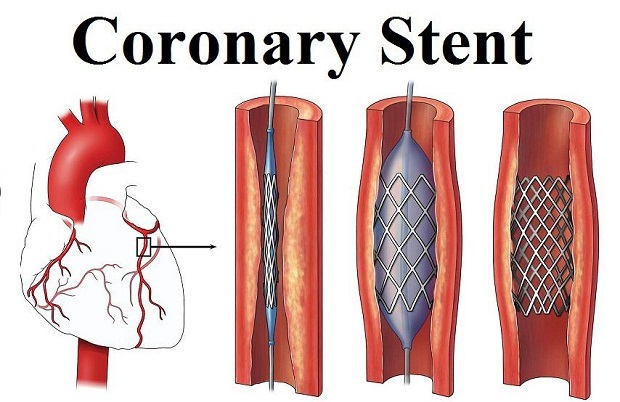 The stents are inserted into blood vessel of a patient suffering from a coronary disease. The tube features are also used for enlarging the narrowed arteries, and it also helps in reducing the chest pain and the associate drisk of cardiac arrests. According to study, “Coronary Stents Market Report: Drivers, Restraints and Opportunities, Trends and Forecasts to 2023” some of the major companies that are currently working in the coronary stents market are Biotronik SE & Co. KG, Abbott Laboratories, Fortimedix B.V., Medtronic PLC, Boston Scientific Corporation, B. Braun Melsungen AG, Andramed GmbH, Hexacath, Kyoto Medical Planning Co. Ltd., I.B.S. S.P.A, Elixir Medical Corporation, MicroPort Scientific Corporation, Translumina GmbH, Biosensors International Group Ltd., Blue Sail Medical Co Ltd., Inspire MD,JW Medical Systems, Lepu Medical Technology, Vascular Concepts Ltd., Reva Medical Inc., IRIDEX Corporation, Essen Technology, Terumo Corporation, Stentys SA, Meril Life SciencePvt. Ltd.
Based on the type, the coronary stents market is segmented into Drug Eluting Stents (DES), Bare Metal Stents (BMS), Dual Therapy Stents (DTS), Bio-Engineered Stents (BES) and Bio-Absorbable Stents (BAS). Based on the forms, the market is segmented into wire form, sheet form and tube form. Based on manufacturing method, the market is segmented into water-jet cutting, laser cut and photo etching. Based on the mode of delivery, the market is segmented into self-expanding stents and balloon-expandable stents. Based on the bio-material, the market is segmented into polymeric bio-material, metallic, and natural biomaterial. Metallic stents include cobalt chromium (CoCr), stainless steel, platinum chromium (Pt-Cr), nickel titanium, and others. Based on the end-user, the market is segmented into Ambulatory Surgical Centers (ASCs), hospitals and cardiac centers etc. The key benefits of using coronary stents include use of short procedure, less invasive than open heart surgery and their failure rate is 1%. Moreover, some of the major disadvantages associated with use of the devices is that it is not a confirmed cure can be rejected by body and aggravates kidney function. The coronary stents demand is primarily driven by growing acceptance of the persistent endovascular surgeries. The other driving factors creating a demand of coronary stents include the increasing aging population, rising medical tourism, sophisticated healthcare system, high healthcare spending, presence of large number of market players, favorable reimbursement policies, the influence of western culture among adults, rising technological advancements, lifestyle changes, addiction to smoking, huge demand for diagnosis & treatment methods and increasing prevalence of cardiovascular diseases. The other restraints adding to the high cost of capital includes associated with stent implants, product failure & product recalls, slow adoption rate, high cost of devices, post-operative complications, stringent regulations for approval and availability of alternative treatment procedure. The key opportunities associated with the market are include increase in clinical trials and market expansion opportunities in the emerging nations. Globally, the North American region holds the largest share of the coronary stents owing to growing investment in healthcare and increasing consciousness about risk factors for the coronary heart disease. During the forecast period it is expected that the Asia-Pacific market to grow at a significant phase due to growing number of diabetes & hypertension cases. It is estimated that the global coronary stents market to reach at US$ 11.1 billion, by 2023.